Unbelievable speed and efficiency. The parcel was picked up within 2 hours of the request on-line and delivered to rural France in less than 24 hours. I recently had a need to send a large package (iMac) over to France and went to the typical sites for quotes (UPS, DHL, Fedex, Parcelforce etc) and suffered the usual frustrations about sites typically focussed on large businesses (with associated prices !). Having given up on that idea I then managed to find Courierpoint during one of my Google searches, from the word go it was a much easier service to deal with, straightforward clear instructions and site navigation. I even had cause to cancel my first pick-up and arrange another two days later, this has just arrived along with my refund (full refund less £5 admin charge) even though I cancelled on the day of collection. Surprisingly, the second collection and delivery went off without a hitch and my sister received her iMac the next day in France. I would not hesitate to recommend this service to all of my friends, Courierpoint prices are very competitive (even though they also use DHL and Fedex) with the major couriers and much easier to use. Well done Courierpoint, please keep up the good work. We sent a parcel to south of France collected Monday in North Wales and delivered Villefranche Wednesday lunch time on a 4 day service brilliant! After my usual delivery company was not able to deliver in 1-2 days, I stumbled upon Courierpoint. As I had never heard of them before I was a bit apprehensive. I did have a few problems with my account initiation & after 3 phone calls to customer services it was finally live. The ladies in the call centre were very helpful. I was starting to panic slightly as I needed my delivery to be in the system asap and it was rather late in the day (Wednesday after 5pm). I logged my parcel, with no problems at all. The next morning I logged in to Courierpoint. I then throughout the day followed the progress of my parcel. From point of collection to delivery in France it took a total of 22hrs. To say I am overjoyed is an understatement. As I often need to have items delivered to France I will definitely use Courierpoint again and can wholeheartedly recommend them. Regards. Parcel Delivery Stockport to South of France. Parcel delivery ran smoothly from door to door. Excellent Service. Two days, London to SW France. That's exactly what you want. I've been using this service to collect parcels from my home and deliver to France a few times and I cannot fault the service. I highly recommend it and you won't find it any cheaper either. They are the cheapest and most efficient service around and I shall definitely continue to use them. The website for booking was easy to use; the parcels were collected on the day and delivered in under 2 days. Excellent! I had to send house purchase documents to France and needed the package to be tracked and expedient. The Post Office could not guarantee delivery, but could track it for £37. For £14 Courierpoint arranged pick up by DHL, tracked and it was delivered in rural SW France the following day. Fantastic service. The parcel was picked up the next day and delivered to France within 2 days safe and sound. I will Definitely be using Courierpoint again and can highly recommend them to anyone else. We started using Courierpoint for our smaller consignments to ROI and France. We have since used them for further afield and have always found the service excellent and the staff helpful. I use this service regularly to send things to my other house in France and it always works very well. I only wish there was a way of sending chilled foods. I bought heaters from the UK for my house in France. Quotes ranged from £80 to £150, collect at a time that suited them. Courierpoint did it for £40 and we were able to drop the parcel off at a time to suit us. I was rather surprised to find out the heaters came from France - about 20 km away from our house but that was not Courierpoint's problem. I recommend their service. Excellent overall service. Easy to arrange, quick pick-up, quick delivery to the south of France at a competitive price. What is not to like!!! Had tried to get a good price off a popular man and van site but wasn't sure I could trust the delivery. After a delay in payment from my client I lost the quotes off that site so had to look again. I found Courierpoint and couldn't have been happier with the service. The parcel was picked up the same day, the price was very reasonable as cheap as the other site and it was delivered to France within 2 days by a reputable firm even though I only bought the economy service. I WILL DEFINATELY USE THEM AGAIN. EXCELLENT SERVICE. Also you get an answer if you have to ring them. For DHL to have collected three packages in Kent and delivered to the required address in SW France, within 48 hours at standard rate, I consider every satisfactory. If you are looking for reliable international shipping for your parcels to France, we have access to the best international courier services. By reselling the services of leading international courier services in the UK, such as DHL, FedEx, TNT and UPS. We are able to offer clients access to a wide range of the export and import services. We arrange for the selected carrier to collect your parcels directly from your business or home and then route them through their network and deliver them. They will be treated in exactly the same way as a shipment to France going through them directly. The only difference is that the we will be able to manage the customer service and pass on some of the large discounts that our bulk buying qualifies for. This means that we can provide some of the most competitive and cheap prices for sending parcels to France. The services that we offer are all fully tracked, signed for and include standard liability cover at no extra charge. We are able to send many different types of shipments from the UK to France. So, if you need to send documents, luggage, parcels or freight to France we can access services that will meet your needs. All at low prices that will save you money. All our services to France are accessed through our online portal where you can compare aspects of each service and make the selection of the one that is perfect for each of your shipment. If you need to send out small parcels to clients in France, we offer a low cost small parcel price from £16.54for a 2 -3 day delivery service, fully tracked including liability cover. We can deliver your gifts, parcels or personal possession door to door throughout France. With options to send 5 kilo parcels to France using our economy services from £20.00 + VAT. They are delivered in 2-3 working days and you can track their progress online. We specialise in helping businesses and individuals deliver large and heavy parcels throughout France. Heavy parcels can be sent cheaply on our economy service and are out for delivery in only 2 to 3 working days after collection. 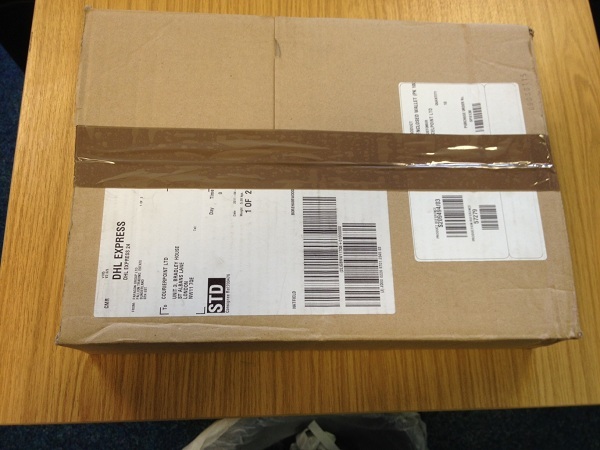 We can arrange for you to send heavy parcels to France from £20.20 + VAT per box. Moving large parcels can require them to be palletised or for specialist moving equipment to be used to transport them safely. We have access to freight moving services that can move large and unusual size parcels to France up to 240 cms in length and 1000 kilos in weight. So whatever size and weight of parcel you need to move to France we can put in place a bespoke solution that meets your needs. If you need to send suitcases and luggage to France, save money and do it through us. We can arrange to collect your luggage from your door and have it delivered to your door anywhere in France before you even leave for the airport. We will even send out free luggage labels and holders to ensure that your labels are secure when attached to suitcases. See our reviews to see how much we care about getting things right for you. As well as exporting we offer a range of import services that allows you to send parcels, documents, luggage and freight from France to the UK. Your items will be collected by branded carriers and delivered to your door on the signed for service that you select. We offer air express one day import services, along with cheaper economy shipping options. We offer import and export services for pallets to and from France. You can send up to 1000 kilos per pallet and 7000 kilos per shipment on our standard service and more pallets on request. Our bulk haulage rates enable us to offer some of the cheapest rates in the market for sending pallets to France. Pallets are quoted on a bespoke basis usually immediately so get in touch with your requirements. Many UK workers are finding permanent and secondment positions, or just retiring there to enjoy, the food, wine, weather and country. Whatever your reason for moving to France, if you want to keep your removal costs to a minimum we can help. By packing all of your personal possessions in to boxes, we can arrange a bulk collection of your boxes from your door and deliver to anywhere in France at unbelievably cheap prices. 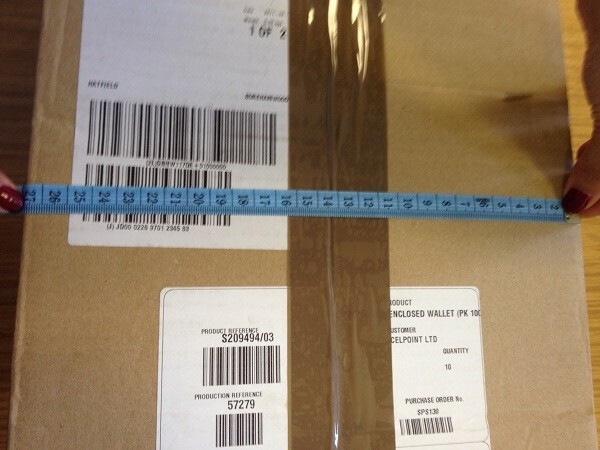 All our work is done by the best branded international couriers, so each box will be tracked and have liability cover. Please get in touch if you have any questions, we are here to help. Sending parcels or pallets with your precious freight on to France can be quick and cost effective with Courierpoint. We have bulk discounts in place for business accounts to access that gives you huge discounts on freight services from the best international shipping brands. Allowing you to deliver freight next day by air, or in 2 to 3 days by road. If you need to ship your personal belongings, or regular customer orders to France we have a solution that is right for you. We can provide instant quotes through our online portal for parcels and pallets that need to be shipped to France, Shipping goods to France takes 2- 3 working days unless the destination is classified as remote. Our online quotation portal will confirm transit times and prices instantly for you. There are four different characteristics that influence the cost of sending a parcel to France. The carriers calculate the chargeable weight of a parcel as the greater of either the actual weight or the volumetric weight. This means that if a parcel is light weight but large in size, that the carrier will charge based on the size of the parcel and not its weight. 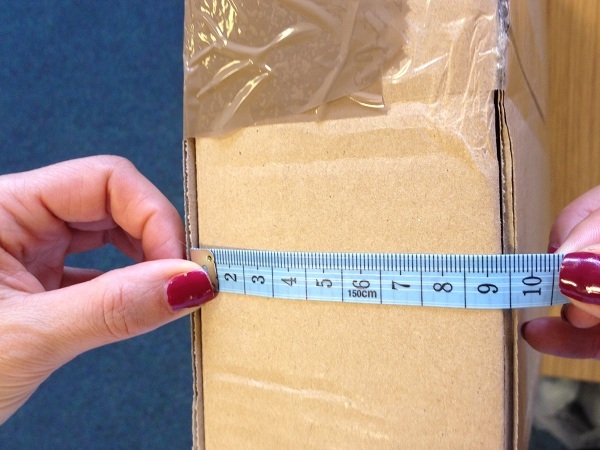 Therefore, to save money always pack your parcel into the small size box that it can fit in whilst including enough internal packaging to protect the contents whilst in transit. 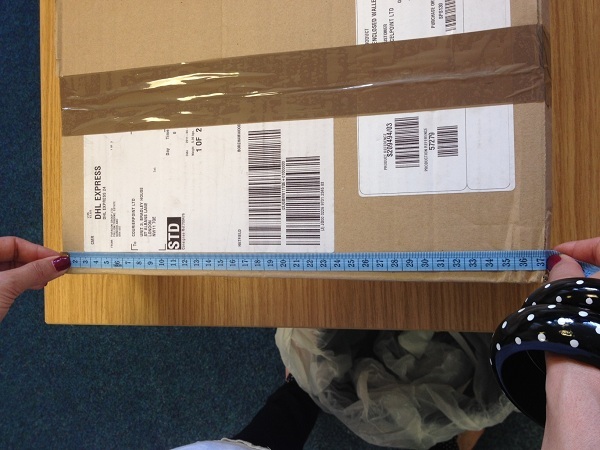 The heavier that your parcel is, the more it will cost to send. Therefore, if you want to keep the cost of your shipment as low as possible, do not include unnecessary items within your parcel to keep its weight as low as possible. The location of the destination of your shipment has a role in calculating the cost of the shipment. Sending to a main city where delivery couriers have many deliveries to make, will cost less than sending to a remote area in France where they rarely deliver to. To keep your price as low as possible opt for the slower economy services, rather than using an air express one. Once you have your parcel to send, save money on your parcel to France by getting a quote from us to send your parcel. Giving you access to the best carriers at the most competitive prices, so that you can send your parcel to France at probably the cheapest possible price. You can compare online shipping quotes instantly through our quote and book portal. Just put in a few basis details about the size and weight of your parcels, and where you would like to send them. Our system will then do the clever work checking the prices with the best branded international couriers and give you a range of quotes to choose from in seconds. As France is within the European Union, you are able to send gifts from the UK to France without needing to declare them to French customs. Therefore, they do not need formal clearance and no import duty or taxes will be charged. Just ensure that the contents of your gifts are not on our prohibited items list before shipping. Save up to 68% on the cost of your international moving costs to France. Simply pack your personal belongings in boxes, and we will arrange for one of the best international courier services such as DHL, FedEx and TNT to come and collect them and deliver them on their economy road service to you new address. All your parcels will arrive in 2-3 days after collection and can be fully tracked whilst in transit. So do not spend unnecessary expense on your shipping, and for complete peace of mind just read the 5 star ratings that we have from our happy customers. If you are in full time education studying in the UK, we are offering 10% off all our services, as we understand how expensive it is to study abroad. Courierpoint has been working with International students and many UK universities and colleges of higher education for over 15 years. Simply contact customer service and advise which course and university you are on to get your unique student discount code. You can drop off your parcel to any one of over 1200 drop off locations throughout the UK when you are sending a parcel to France through Courierpoint. They will be scanned in by the drop off point to the network and collected by the carrier for delivery on the service chosen. We provide all the paperwork and drop off instructions on our portal whenever an order is placed, and if you have any questions our customer service team in here to help. Make sure you read our FAQ page as there is lots of information that shippers find of value there and if you have any queries we are available by live chat or by calling Monday through to Friday -9am to 5.30pm, excluding bank holidays.